Given the name of my blog, it might be to state the blindingly obvious to say that Pierre Boulez was someone I greatly admired. It would, however, be to understate the obvious. Certainly – to use a word of which he was fond, and whose use I have perhaps adopted from his French-into-English – his was the greatest influence of any living composer, any living musician, on my musical life. He was, quite simply, the conscience of what some of us are stubbornly old-fashioned enough still to call New Music. That does not mean that he was always right, although he was far more right than wrong, but he knew and he incessantly urged a fearsomely moral, fearsomely humane doctrine – in the very best, Catholic sense – that nothing could be further from the truth than the ‘anything goes’ post-modern morass. Yes, it did matter, as performer, as composer, as listener, as human being, what one did; no, it was not good enough to pander, to ‘make allowances’, and so on. Above all, it mattered to educate; in that sense, he stood in the greatest Western tradition from Plato (at least) onwards. Yet, despite the incalculable importance of his conducting life – a conducting life which indeed made possible so much of his later composing life – it is above all as one of the greatest composers of the twentieth and twenty-first centuries that his memory will most of all be treasured. ‘Like a lion who had been flayed alive,’ was Messiaen’s celebrated description of one of his greatest pupils. (I say ‘one of’, since what a composition class that was!) And how one heard that flaying in, say, the Second Piano Sonata, which I got to know through Pollini’s recording (and later through Pollini’s and others’ performances, as well as study of the score). The first time I listened, I could not continue, so alarming was the work. I knew its greatness instinctively, yet it was ‘too much’; so I left it for a week or two and returned. 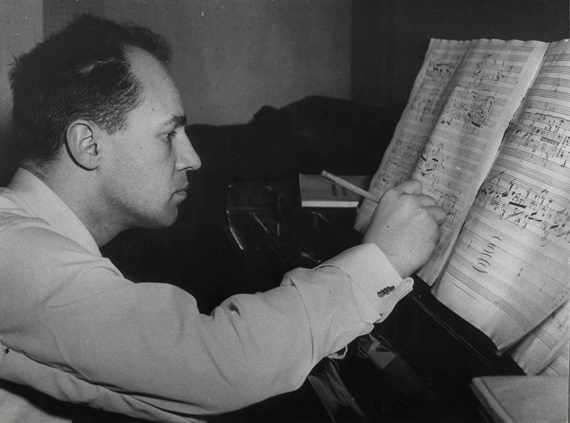 Then I began to understand what was meant by the destruction – and yet, in some sense, preservation; perhaps one might use the German ‘Aufhebung’, for Boulez remained spiritually a Rhinelander in many respects – of the sonata principle. More to the point, its searing drama was brought to life and remained, remains, with me forever. Le Marteau sans maître: what can one say? Plenty and, on other occasions, I doubtless will. But this is a brief tribute upon hearing of Boulez’s death. Stravinsky’s admiration reminds me of his description of Pierrot lunaire as the ‘solar plexus’ of twentieth-century music. Le Marteau stands as guarded tribute, but more importantly still, as one of its few worthy successors. In the best tradition – an idea to which Boulez rightly always felt at least ambivalent – it killed its father, that it and, in a sense, he might live. ‘Schoenberg est mort’. Yet the sonorities, the ‘style’, so much else are anything but Schoenbergian. The ‘vagueness’ that lies at the heart of Debussy’s music is at least as crucial; indeed, partly via Messiaen yet partly not, the Debussyian inheritance, thereafter transmitted to subsequent generations, is there not only to hear, but also to enjoy. Following that extraordinary opening chord, we were bathed in the delectable light of Barbara Hannigan’s soprano, her breathing unabashedly sensual, and some truly gorgeous instrumental playing. The Szymanowski-like tapestry unfolded with a perfect balance between clarity and mystery, possibility and purpose: perhaps the essence of what Arnold Whittall has referred to as Boulez’s later ‘modern classicism’. There is something of that quality to his more recent conducting too: contrast the early, angry accounts of Le marteau sans maître and even Pli selon pli, with his more recent work. I do not necessarily prefer one above the other, but experience reaps an undeniably rich harvest. If I thought of Szymanowski, I also thought of Mozart: what ears to envisage such sounds, whether the latter’s Gran Partita, which Boulez has recently recorded with the EIC, or Pli selon pli, let alone to translate such aural imagination into reality! Strings evinced Messiaenesque sweetness, and I fancied that I heard something of a dawn chorus too. The pizzicati of ‘Don’ sounded almost balletic: ‘mellowing’ is not quite the right word to describe the conductor’s development, but a greater willingness to ravish is certainly present and welcome. At another extreme – I was going to say ‘the other’, but Boulez is always more complex than mere binary opposition would allow – there were occasional hints of a viol consort, refracted through the ages. Lorin Maazel’s latest effort in that work! – and Messiaen’s Poèmes pour Mi. ‘Une dentelle s’abolit’ brought a primal scream upon ‘blême’, yet one whose instrumental aftermath both consoled and aroused. Percussion seemed to foreshadow, and yet in performance already go beyond, a work such as Rituel. Of course, the words are almost as beautiful as the music, and the melismatic writing of the third Improvisation heightened our sense of both, especially when so expertly delivered as by Hannigan. Percussion once again came to the fore, both a visual spectacular – the coordination of the players – as well as an aural banquet. ‘Tombeau’ sounded inevitable resonances with other tombeaux, whether Boulez’s own or those of other composers: again I thought of Das Lied von der Erde and Rituel, but also of the bells in Boris Godunov, rejoicing now turned to other ends. The final horn call seemed to evoke Mahler’s Seventh Symphony, one of many farewells to German Romanticism that are yet not quite farewells. For its æsthetic has probably never quite been negated, certainly not by Boulez; via Mallarmé, it may even have been dialectically reinstated, ‘aufgehoben’. Certainly the final blow, cataclysmic yet undeniably pleasurable, suggested less a final full circle than an Hegelian spiral. It continued in a performance of Boulez’s Dérive 2, which was little short of miraculous. (I am sad to report that it was marred by the worst audience behaviour I have experienced at this Festival, a selfish minority fidgeting, chattering, noisily flicking programme pages, exiting the hall. They should not have been allowed back in after the interval.) Not the least of my reasons for never forgetting this concert will be that it was the moment when I felt, not that I had suddenly grasped this protean work, but that I had, at long last, began to grasp it, in its perhaps uniquely challenging dialectic between the most insistent motivic (?) unity I know in a work by Boulez and its extraordinary variety. Doubtless it was partly a matter that I had somehow become ‘ready’ for this epiphany. But it was not just that; it was more, I think, a reflection of the quality of burningly committed performance from Barenboim and his players (Michael Barenboim (violin), Yulia Deyneka (viola), Adi Tal (cello), Emmanuel Danan (English horn), Jussef Eisa (clarinet), Mor Biron (bassoon), Sharon Polyak (horn), Michael Wendeberg (yes, him: piano), Lev Loftus (marimba), Dominic Oelze (vibraphone), Aline Khouri (harp)). I only read Paul Griffiths’s programme note after the performance, so this offered no key to my experience at the time, but Boulez’s ‘starting point … in some examples … sketched for lectures he was giving at the Collège de France’ seemed more than a mere starting point: ‘When I reflected,’ Boulez had explained, ‘on some of Ligeti’s compositions, I felt the desire to dedicate myself to some almost theoretical research into periodicity in order to systematically examine its overlays, its shifts, and its exchanges’. The brilliance, the (unavoidable word!) éclat of ever-shifting, yet apparently continuous sonorities seemed magnified, extended in rhythmic and harmonic progress – if, indeed, ‘progress’ it be. Something not entirely unlike post-Lisztian thematic transformation seemed at times the generative force, albeit somehow mapped out in a dizzying array, or so it seemed, of dimensions: as if the spatial games of sur Incises were extended yet, in the spirit of Debussy’s Prélude, subverted by the apparently arbitrary. My (perhaps) laboured talk of ‘seemed’, ‘apparently’: such was a good part of the magic. What was glittering ‘surface’? What was deeper, generative? Those questions may have been the wrong ones, but it seemed as though one was intended to ask them. Barenboim and his players demanded that one listen, whatever the selfish behaviour of some in the audience; indeed, such was the strength, the security of the performance that one almost had the sense that what we heard lived only in that, not in the score, however erroneous that sense might have been. Snatches of remembered, half-remembered figures from other favourite Boulez works – more Wagner, The Rite of Spring – hovered, transmuted whilst we waited, before our ears. There could hardly have been a more vivid, more inviting demonstration of the truth of Boulez’s claim that serial procedures might extend material and its progress indefinitely, nor of his claim, with us since the Domaine musical years, that what New Music most desperately needs is excellence in performance. That early dissatisfaction with the few performances of, say, Webern he heard, so unsatisfactory that one could not discern the musical sense, seemed compositionally manifest, set free as a flight of post-Debussyan fantasy. My doubts about this work, about my ability it not to understand it then at least to begin to appreciate it, were banished forever. For that was, for me, perhaps the greatest discovery of the 2015 Boulez anniversary celebrations. The maître might have been a ghostly presence, no longer well enough to attend, let alone to conduct. But his compositions seemed to have gained a new lease of life. Suddenly, everyone, everywhere seemed to wish to conduct them. (Well, not quite ‘suddenly’, but there had been a definite gear change.) The Barbican could sell out a concert of his music earlier in the year. The old lie that this was music only for devotees, unable to discern or unwilling to admit that the serial emperor had no clothes, had been shown up not only for its lack of clothes, but straightforwardly forgotten: an irrelevance. Audiences, especially young audiences, simply adore his music. Not everyone does, but not everyone does Mozart. 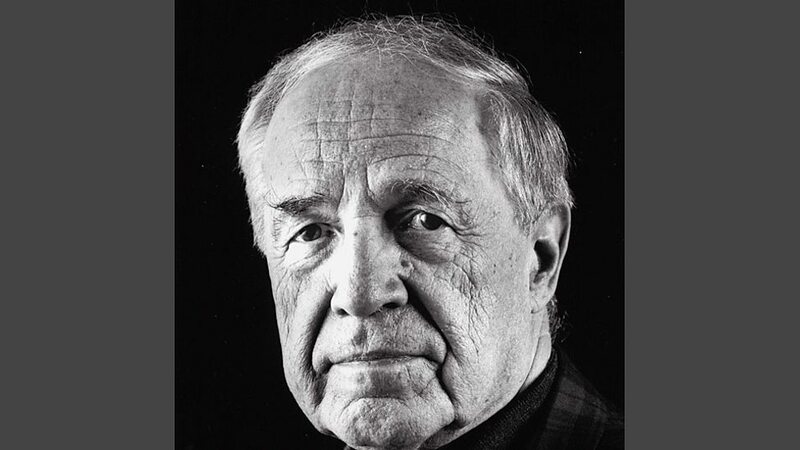 Boulez est mort; vive Boulez!